Recieving Jesus Christ is as simple as A B C and thats the way it should be. A accept you are a sinner and need to be saved. 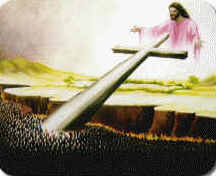 B believe on Jesus for your salvation and no other. C confess your sins and recieve his forgiveness. hand the keys of your life over to him and live 100% for him.